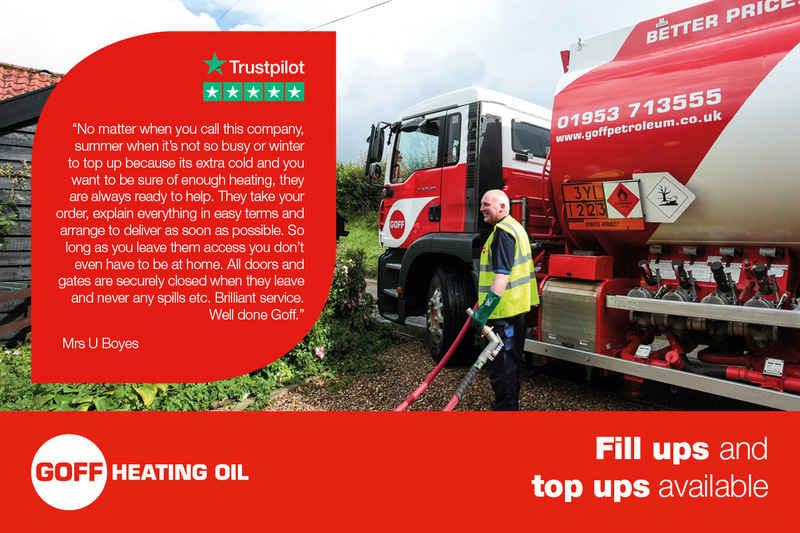 Goff Heating Oil serve more than 70,000 homes, farms, schools and businesses direct with heating oil. 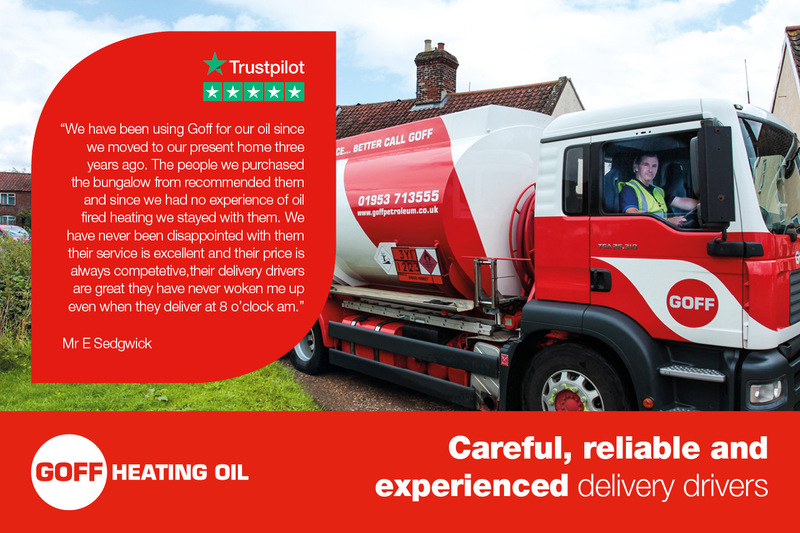 We wouldn’t be able to do this without a very high level of customer service and quick delivery times. 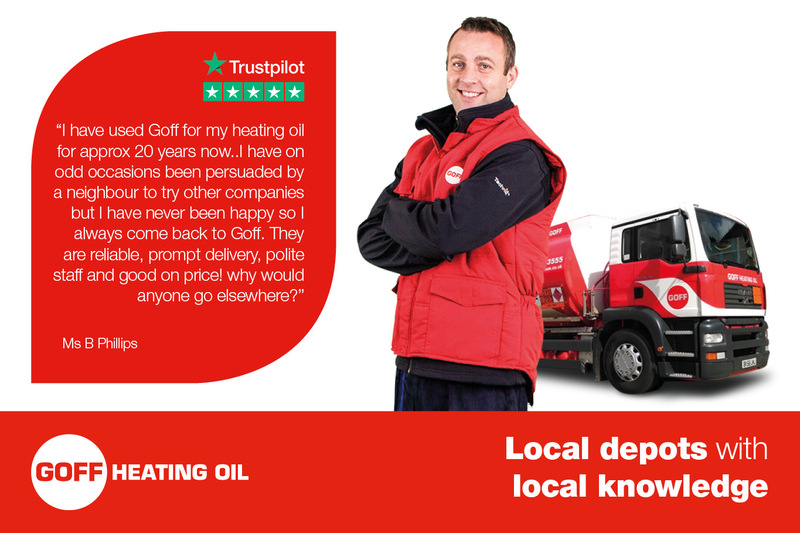 This month Goff Heating Oil were delighted to reach a landmark of 3,000 reviews on the independent review site Trustpilot. We are delighted to have earned an overall five-star rating from our verified customers, with 96% giving us positive reviews, 82% calling our service ‘excellent’. Our service is something that we take very seriously, and we continue to work hard to ensure that every customer gets the best service possible. This year we are launching a number of internal processes to try and raise our service levels even higher and this is a continuous process as we strive to be the best we can. 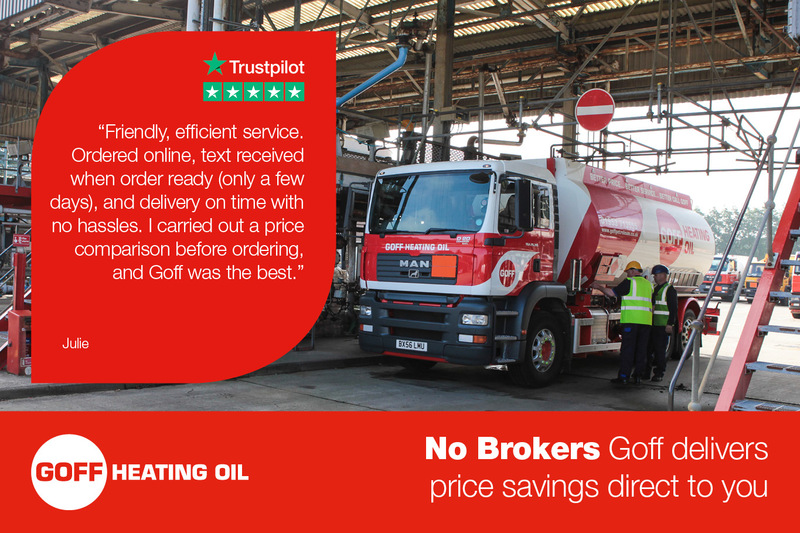 We aim to provide the Best Price & Service... and these independent reviews show that we are heading in the right direction. 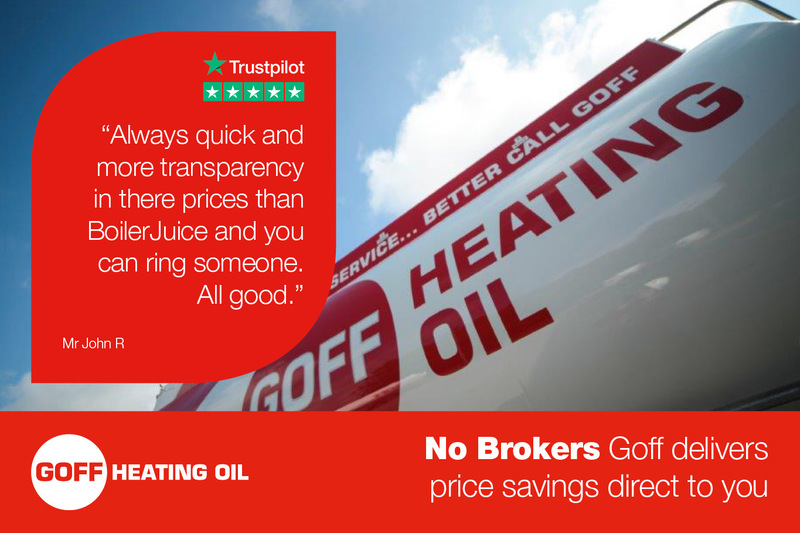 See our latest reviews on Trustpilot: We don’t rest on our laurels and read all the feedback we receive to continually try to provide the best service we can for our valued customers.